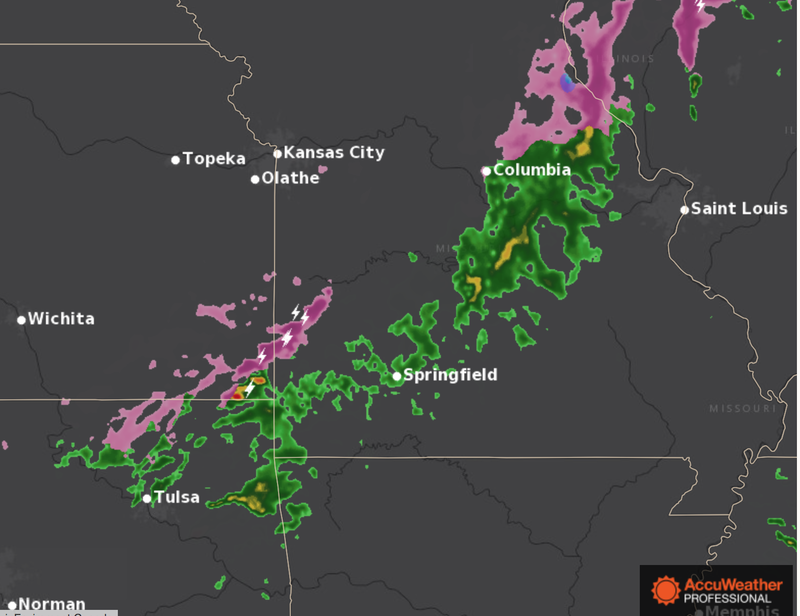 Here is the latest radar (7:30pm) showing an increasing area of freezing rain -- along with lightning -- developing over the Ozarks. Pinks are freezing rain with darker shades meaning heavier rates of rainfall. The precipitation is moving northeast. 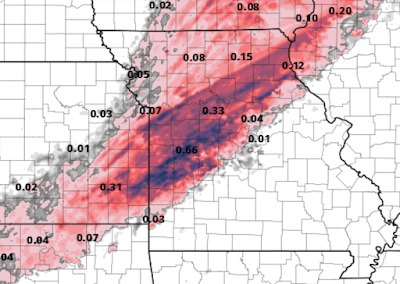 A reliable computer model is indicating there could be heavy ice accumulations in places. That is two-thirds of an inch of glazed ice forecast for the area around the Lake of the Ozarks and points west to the Missouri border. This would be sufficient for localized power failures. 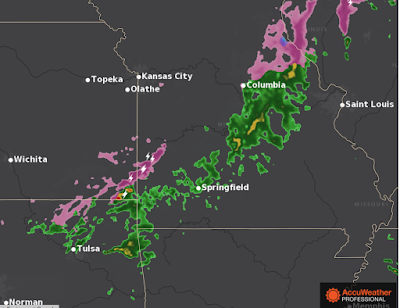 For my readers in the Wichita area, note that 0.02" of freezing rain is forecast to fall late tonight to noon Wednesday. That is more than the amount that caused all of the traffic problems this morning. 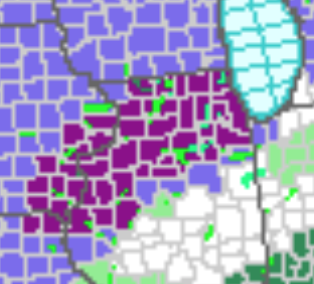 An ice storm warning (purple) is also in effect farther north across northern Illinois, including Chicago.